Canada General Releases. Fast Download. Money Back Guarantee. 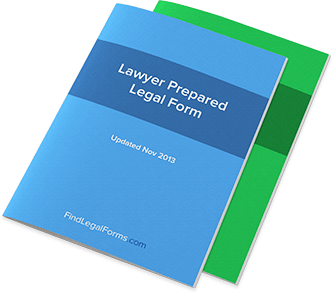 Popular General Release which is also known as a Liability Release. It can be used in a variety of situations (i.e. after a minor vehicle accident) to release another party from future liability. A release of liability is a legal document in which one party agrees to release any potential legal claims as a result of interaction with the other party. Additionally, the releasing party will often assume any potential risk involved with the interaction. Often, these liability releases deal with potential future events, rather than legal claims that already exist or somehow have taken place in the past. This is not always the case, however, as General or Liability releases can deal with a number of past and present issues as well. How are liability releases different from any other type of release? Signing a “release” can refer to a wide spectrum of actions including the assumption of risk, the release of future litigation rights, or the release of intellectual property rights. Liability releases deal specifically with releasing one party from liability even if accidents occur. For example, an owner of rental equipment might ask you to sign a liability release in order to use their equipment; in this agreement, you would give consent to assuming the risk on yourself and release any rights you have for future litigation against the equipment owner. What is the difference between a General Release and a Liability Release? There is none – they are essentially two names for one type of contract. A liability or general release can be used for a large number of situations and needs. Usually it is a simpler contract that unite the “Releasor” – the person doing the releasing– and the “Releasee” – the person or entity whose liability is being released. These releases, once signed, give protection to the release because they no longer have to worry about assuming any risks associated with liability. For example, the owner of a gym might ask new members to sign a Liability Release so that they know they are using the gym at their own risk. Because the Liability Release is in place, it will be difficult for that new member to take legal action at the gym for any accident that took place as a result of membership there. What does liability have to do with anything? Understanding the concept of liability is central to understanding why someone would want to ask for a liability release. Essentially, liability in legal terms has to do with who is at fault when something bad happens – typically this means an unfortunate accident that results in clear damages to one party. If someone runs a business that allows a number of clients and customers to use the owner’s property and there is significant risk involved in this usage, they will not want the liability for any accidents to fall on them. If you are the one injured in an accident – on the road or otherwise – it is important who is liable because it allows you to focus your legal challenges on winning your just rewards from them. But if you have already signed a liability release, then you will not be able to justify legal action to a court because it is clear you willingly gave up this right. Where do waivers or assumptions of risk come into the picture? Waivers are one type of liability release that deal with future events – and therefore deal with the concept of risk rather than accidents that have already happened. Signing a waiver is essentially granting the other party a liability release because you have already assumed all the risk upon yourself – in a court of law, you would then be considered the one liable for anything bad that happens to you as a result of the risks you then took. What are product liability releases? Claims resulting from the use of a product will be subject to a product liability release when signed between two parties. Generally these releases focus on future liabilities and take place after some sort of injury has already happened. In order to fulfill contract consideration requirements, the Releasee is required to offer some sort of value in exchange for the release of product liability. When are liability releases enforceable? Liability releases are enforceable once they are considered valid and lawfully signed by all of the parties involved. The enforcement of liability releases is particularly important during out-of-court settlement negotiations. These settlement negotiations, when successful, typically result in one party having to sign a liability release of some sort in order to ensure that they do not take any further legal action down the road. If these liability releases are then not enforceable, the settlement itself has had little value to the Releasee. What are the requirements for liability releases to be valid? One of the major focal points on the validity of a liability release is that the contract be signed with consideration to both parties – in other words, both parties should be receiving some sort of value or benefit as a result of signing the agreement. This is easy for the Releasee, as they are generally having paying customers or clients sign their release forms. Other requirements for the contract to be valid are common across a range of contracts and documents, such as the mental capacity of the parties signing the contract, the age of the parties, and whether or not the contract itself represents a lawful agreement between two parties. The agreement should also conform to a particular state’s laws and, when relevant, include a provision that details that both parties agree to conform to that individual state’s laws when honoring the contract that has been signed. When is a liability release effective? Most liability releases are effective upon signing unless another stipulation is present. But the true duration of a liability release’s effectiveness also dates back to any past liabilities that might have existed, as long as those past liabilities are explicitly included in the release. “Full and Final” releases, for example, will release one party from liability throughout the past and the present.